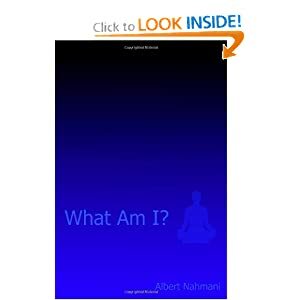 In this book Albert Nahmani, shares his understanding of Consciousness, meditation, awakening, self realization and enlightenment in the tradition of Non-Duality/Advaita and Kabbalah. What Am I? (Paperback) by Albert Nahmani. Cost: $9.95. It can be a good gift for you and your truth seeker friends. What Am I? can be found on Amazon. To share Albert with your friends simply click on “Recommend” below.